Why is Trump backing off his China threats? Less than two months ago, Donald Trump rattled China by suggesting that the highly sensitive matter of American policy on Taiwan could be used as leverage to "make a deal" with Beijing on trade and other issues. Now he's backed off, telling Chinese President Xi Jinping over the phone on Thursday that he'll honor the "One China" policy that acknowledges Beijing's claim that Taiwan is part of China. 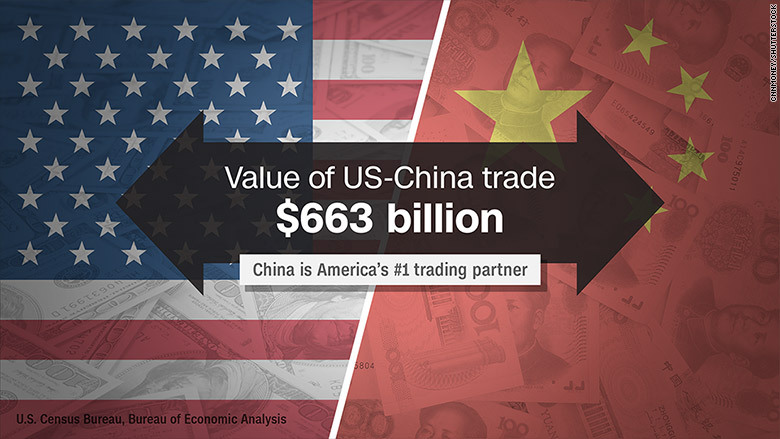 Trump portrayed himself during his campaign as a master negotiator who would take a tough line on China to get the U.S. a better deal with its biggest trading partner. But putting into play an issue that Beijing regards as non-negotiable doesn't seem to have gotten him anywhere. "If you want to get something done in terms of economics and trade, you don't overshadow it with an issue like that," said Alan Oxley, a former Australian trade negotiator. "It'll be very political. There will be standoffs and no discussions." Trump had also threatened to label China a currency manipulator on his first day in office, a move that some experts feared could be the first step toward a trade war. He didn't follow through on that threat either. "I would talk to them first," Trump told the Wall Street Journal in an interview shortly before he took office. His willingness to pull back from some of his more extreme ideas has been welcomed by market watchers. The pledge to Xi on Taiwan "matters to investors because if China can bring about a change like this, it may succeed in softening other U.S. policy positions," said Paul Donovan, global chief economist at UBS Wealth Management. Trump has previously threatened to slap tariffs of as much as 45% on Chinese goods. If he follows through with that, the result could be a trade war that damages both economies. Talking with China, rather than trading threats, could help Trump come away with some kind of deal on issues like import tariffs and currencies that he could tout as a victory. "I think from Beijing's point of view, they are amenable to negotiations and even compromise on trade issues," said Willy Lam, a China expert at the Chinese University of Hong Kong. "But they are tougher on territorial issues." Chinese leaders shouldn't relax too soon, however. "If China doesn't compromise on currency and trade, Trump might change his mind," Lam warned. He suggested Trump could easily bring Taiwan back into play by enhancing contacts with its government. "It's too early to say Trump has abandoned the 'One China' card," he said. The U.S. president's choices for key trade jobs in his administration indicate he could still take a hawkish line. 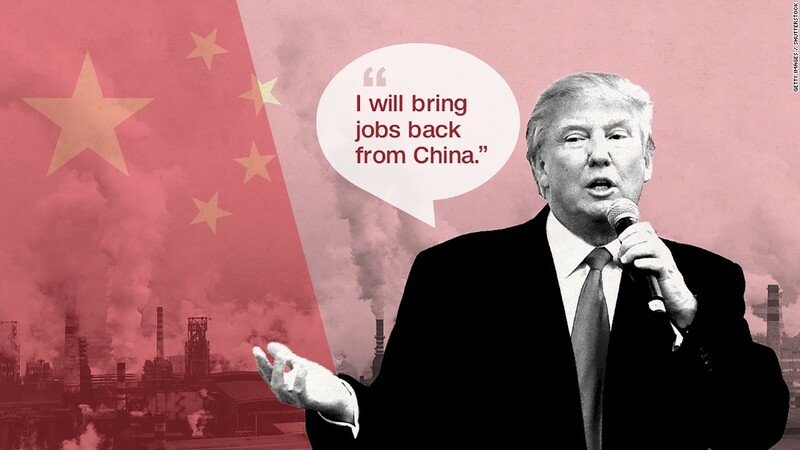 His team includes Peter Navarro, an economist who directed a documentary titled: "Death By China: How America lost its manufacturing base" and Robert Lighthizer, who was part of a Reagan administration trade team that imposed protectionist measures. But if Trump does change course on Taiwan again, he'll be playing a very risky game. "The 'One China' policy is not a card on the bargaining table," said Paul Haenle, a former China director at the U.S. National Security Council. "It is the table itself." -- David McKenzie and Katie Hunt contributed to this report.